Big King County Sheriff’s Office response right now to South 120th and Military Road in Boulevard Park (map), where – according to dispatchers and officers’ radio communication – a man was found in the street with gunshot wounds. Streets are being closed in the vicinity, so you will want to avoid the area for a while. The victim is being taken to Harborview. There’s a report a red four-door car was seen heading southbound, possibly associated with the incident. Reminder, if you missed this mention in our coverage of the North Highline Unincorporated Area Council‘s November meeting: If you use the Boulevard Park Library (12015 Roseberg Ave. S.), you will want to be there this Thursday (November 16th), 6:30-8 pm, for an open house where you can find out the latest about the upcoming interior-remodeling project. KCLS says the team from BuildingWork Architecture will be there. 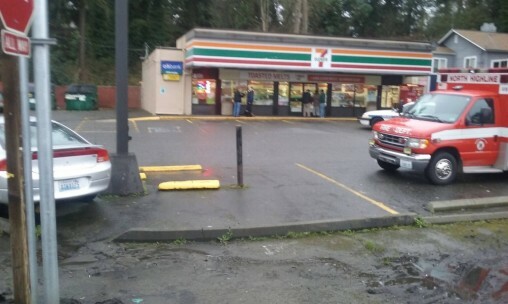 Following up on the deadly shooting we covered Sunday at a 7-11 in Boulevard Park: This afternoon, the King County Medical Examiner identified the man who was shot – described as having been masked, and armed with a hatchet – as 43-year-old Steven Blacktongue. His cause of death: Multiple gunshot wounds. Our news partners at The Seattle Times have reported some details of Blacktongue’s criminal record, in this story. They also report that the man who shot Blacktongue, who allegedly had first threatened the customer and then attacked the store clerk, is declining interview requests. He has not been publicly identified. Besides what The Times reported about the man who was killed, city and county records show that Blacktongue was arrested for domestic-violence assault on February 26th in Seattle and spent a day and a half in the King County Jail before being released. The court documents from that arrest list Blacktongue as living in South Park. While the incident is not detailed in the documents we’ve found so far, the victim is listed as an 18-year-old man to whom Blacktongue is related. Blacktongue was released on personal recognizance and ordered to return to court on March 28th. 9:31 AM: Just talked with Sgt. West at the store (will add video when we have it uploaded). She said the call came in around 5:45 am. The man who fired the shot(s) was getting coffee when the masked man came in. The man with the gun was carrying it legally, she said. If you can’t play the video – Sgt. West says there was “no indication of wrongdoing” on the part of the 60-year-old store customer who shot the man – he’s a regular customer who had a concealed-pistol license – but the King County Prosecuting Attorney’s Office will ultimately get the case for review. 11:30 AM: A news release sent by Sgt. West after our interview added two more details: The clerk, 58 years old, has a minor abdominal injury from the hatchet attack; the suspect is believed to be in his 40s but hadn’t yet been identified as of midmorning. 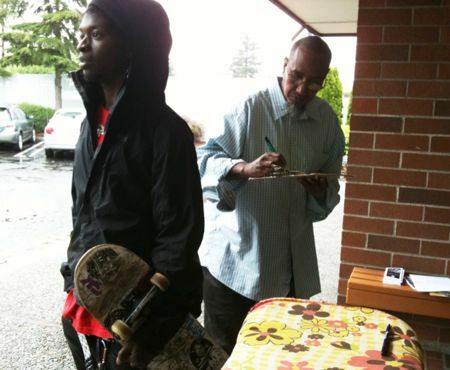 April 1st, 2015 Tracy Posted in Boulevard Park, Crime, King County Sheriff's Office, White Center news Comments Off on Recognize these suspects? Let KCSO know! P.S. 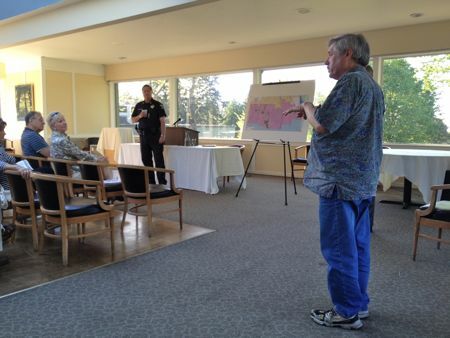 For this month’s update on North Highline crime trends, don’t miss Thursday night’s NHUAC meeting – more info here. 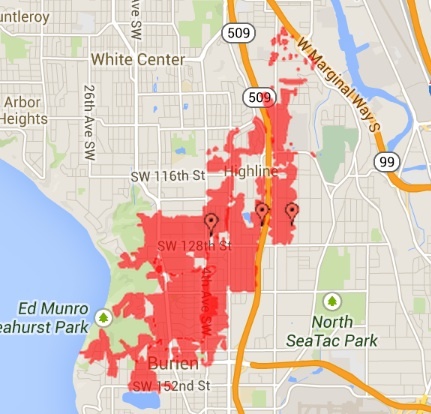 Seattle City Light has more than 7,000 homes/businesses out of power this morning, mostly to the east and south of here, hitting Burien especially hard. It’s blaming a tree for falling on power lines and expects to have power back before the morning’s over. KCSO spokesperson Sgt. Cindi West has mentioned search locations including 22nd S./S. 106th and S. 106th/Des Moines Memorial Drive. 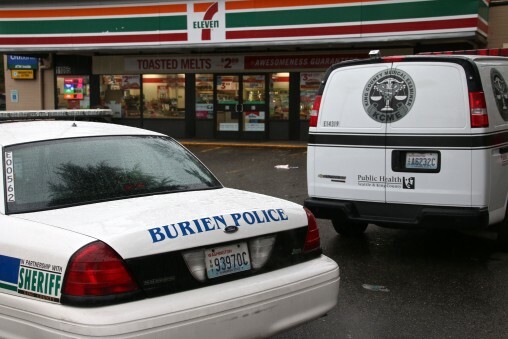 UPDATE: According to seattlepi.com, the man is being sought in a shots-fired case; no one was hurt. 7 PM: Metro alerts say Des Moines Memorial Drive is open again in the area. Don’t know yet if that means the search succeeded or was just suspended. Suspect in custody! Found hiding in apartment! Woohoo! Good job guys! An early morning shooting left one man dead and another in critical condition after what detectives believe might have been a shootout. The shooting happened in the 1000 block of S 102nd St (map) just before 1:30 this morning. A woman called 911 and said that she heard numerous gunshots and her house had been hit by gunfire. Deputies arrived and found a car running in the front yard of the house. The driver and passenger in the vehicle had apparent gunshot wounds. 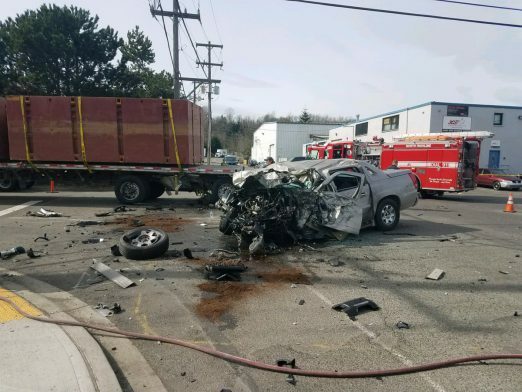 The passenger was pronounced dead at the scene and the driver is in critical condition at Harborview. Both victims are men. Detectives said at least one other house and another car in the neighborhood was also hit by gunfire. One car was seen leaving the scene around the time of the shooting. There is no description of that vehicle at this time. At this time we have not been able to confirm that there was another vehicle involved. People in the house thought they heard 2 vehicles and a neighbor saw one vehicle in the area but we do not know if this was our victim’s vehicle or another vehicle. The driver is still at Harborview in critical condition. We have NO suspect info at this time. All we have is a passenger dead from an apparent gunshot to the head and the driver in Harborview with a gunshot wound. I know that the driver knew someone in the house but I am not sure who or what their relationship was. Detectives told me that the first deputies on the scene did find one weapon in the victim’s vehicle. I have not confirmed if this was the only weapon in the car. More than 50 community members were in attendance as the King County Library Services Board of Trustees met in Issaquah Tuesday, hoping to have their collective voices heard regarding the North Highline Library Service Recommendation to consolidate the White Center and Boulevard Park libraries. The White Center Library Guild presented its petition (as reported here) to the Board with just shy of 1,800 signatures. Comments to the Board were broad, repeating many of the same issues presented in previous meetings. But the perceived lack of effective outreach to the regular WC and Boulevard Park library users was pointed out by Virgil Domaoan, community builder director of the White Center Community Development Association, who lives in Boulevard Park. He joined the petition efforts initiated by the White Center Library Guild and discovered during their doorbelling campaign that people had not heard about the potential library closures and were concerned how they would get to another location to use a computer every day. He pointed out these are families who do not have the computers commonly found in other neighborhoods where internet access and computer ownership is common place. Domaoan said only one person refused to sign the petition, a mother who wanted her son to be present when she signed it so he could witness what she was doing as a civic lesson. Greg Duff, former North Highline Unincorporated Area Council member who is a candidate for Burien City Council, told the Board that his petition drive at the recent Burien Wild Strawberry Festival resulted in two main takeaways from the public he spoke with: It was suggested that Board members themselves visit the Boulevard Park and White Center libraries any day around 4:00 PM to see for themselves the high volume of computer users. The second takeaway was why should they, as voters, ever vote for a library bond again when they were lied to about the 2004 bond? 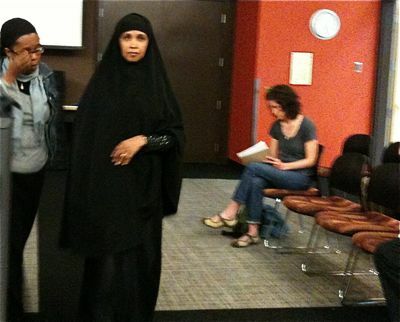 Astha Tada, speaking to the Board as a former teacher and as a Guild Member, wore an 18-pound backpack as she spoke. That’s the average weight of what kids carry every day back and forth to school, saying she learned that when she “googled” it in her research. 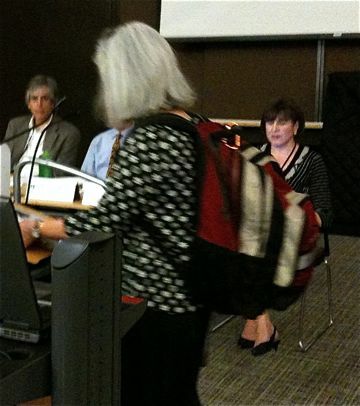 In true teacher fashion, she wore it to illustrate the unwieldy weight children would be expected to bear while walking even further to a new library location from school and home because, she said, there will be no transportation options for them when they do not have money for a bus. Having heard all of these and many other passionate and articulate speakers, the Board spared any debate regarding convening an Executive Session to hear the staff’s proposed sites for a new library, as Director Ptacek suggested the Board do as the agenda outlined. 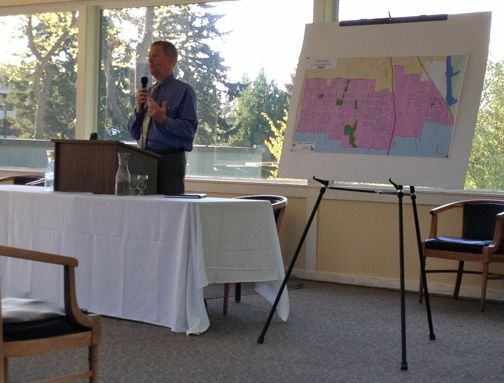 The agenda was changed and a motion was made and immediately approved to delay any decisions on consolidation until further information was available about the potential for the Burien annexation of North Highline. 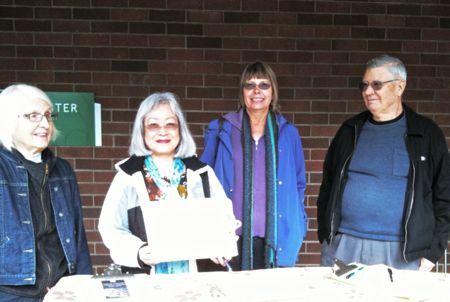 Members of the White Center Library Guild have kicked off a signature drive for a petition that will be presented to the King County Library Services Board of Trustees later this month. Guild President Rachel Levine (far left in top photo) told WCN the Guild will continue gathering signatures from all ages of the libraries’ users through June 16 at various locations, including stations at the libraries. Tonight at the 34th District Democrats’ meeting, Liz Giba told that group the petition got about 100 signatures in just a matter of one hour. At the most recent meeting of the KCLS Board on May 25, a discussion of consolidating the Boulevard and White Center libraries was postponed after appeals from the Guild and King County Councilmember Joe McDermott sought delay of any final decision until the issue of annexation of the unincorporated North Highline area has been discussed by the city of Burien. The board postponed a decision but asked the staff to provide it with suggested locations of potential new-library sites at the June 28 board meeting at the Issaquah Library Services Center. Before then, on June 18, the KCLS Board will have its next Planning Meeting at the Burien Library which, according to Levine, in part determines the agenda for the next Board meeting. It will be open to the public to attend, but does not allow for public comment. Two days later, the Burien City Council is scheduled to begin discussions about annexing the remaining North Highline unincorporated area. Elected city leaders have sent a letter to the KCLS Board requesting a delay of any library consolidation decision until the Burien annexation discussion has approached a more definitive conclusion, perhaps by mid-summer. One more note: Legislators from the 34th and 11th districts have sent a letter both opposing the consolation and exhorting the library trustees to at least wait until there’s an annexation decision. Read it here. 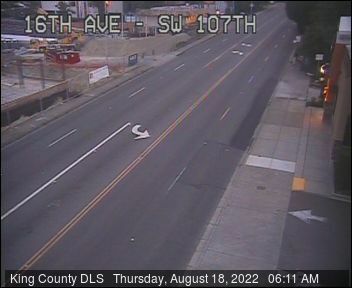 Will the King County Library Board vote to consolidate the White Center and Boulevard Park libraries? It’s on the agenda today for their 5 pm meeting – at the North Bend Library. Find the agenda linked here. White Center Now will be there and we’ll let you know what happens. Reminder since Friday is only two days away – Friday is the next public discussion in Seattle city government of the proposal to annex the north section of North Highline. 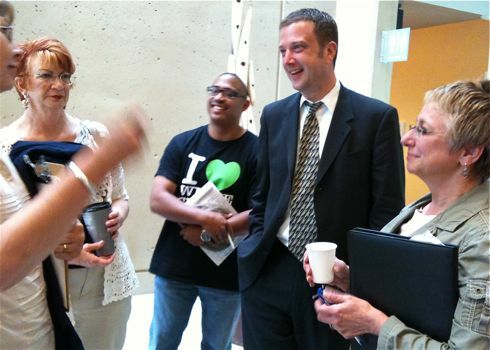 It’s a briefing before the Seattle City Council‘s Regional Development and Sustainability Committee, 2 pm at Seattle City Hall. Here’s the official agenda.